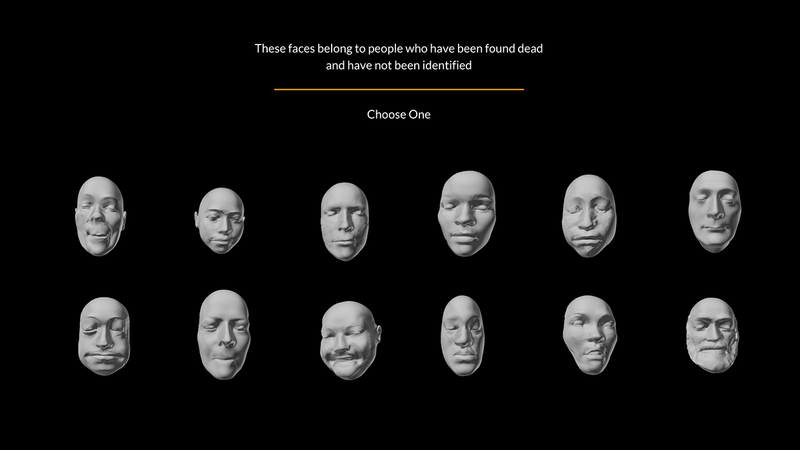 There are more than 11,000 cases of unidentified dead in the United States alone. Issues of privacy and anonymity are widely debated these days, in the age of big data and with the spread of new technologies that allow facial recognition and tagging. How can we recognize the face of a distant celebrity distant while not knowing the name of a person living in our immediate environment? This piece I made in 2014 focuses on 12 cases from Namus.gov and uses different tools to try and better understand them.